How A Padded Aquarium Mat Could Save Your Tank! Think of an aquarium mat as a mattress for your fish tank. It gives your aquarium a comfortable spot to rest, away from harm. While it might not look like much, this extra piece of padding is an essential piece of equipment for many fish keepers. And today, I’ll explain why. Do you need a mat underneath your aquarium? Why do you need a mat under your aquarium? Which is the best mat to use under your aquarium? 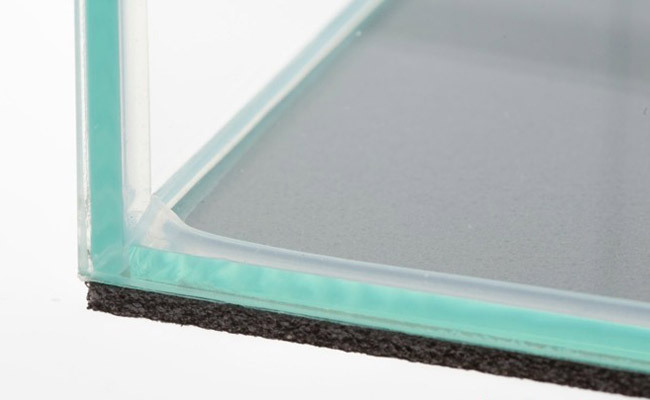 But, if you have a rimless aquarium, a mat is a must! Many fish keepers skip the mat entirely, mostly because they don’t know better. In fact, I have seen beginners throw away the mat that came with their new tank because they thought it was part of the packaging! But I am going to get you started the right way! So, before you begin to fill your new aquarium with water and decorations, place a mat underneath. Trust me, it’s much easier to place a mat down now rather than when your aquarium is fully set up. A filled aquarium is heavy! Unless you have a small tank or are Hercules, it’s going to be impossible to lift the tank to place a mat underneath. Like I said above, a fully setup aquarium is heavy. As long as the surface the tank sits on is level. Here’s where it gets tricky – most surfaces aren’t perfectly level. Heck, I have seen brand new aquarium stands with uneven surfaces – screw heads and knots are just some of the surface imperfections that your tank can rest on. Not something you want pressing against the bottom of your tank, right? 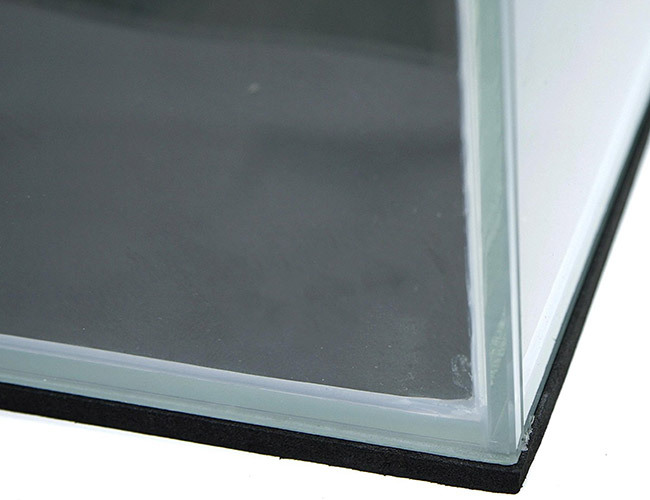 The weight of your tank will be focused on any high points on the surface, placing the bottom panel of glass under focused stress. You won’t even notice your aquarium straining against the uneven surface. Over time, as pressure is continually applied to these points, your glass will finally give way…. Your worst nightmare – a cracked tank. The spongy material of your mat absorbs those high points so that they do not apply pressure to the bottom of your aquarium. This is why they are often referred to as leveling mats – it helps smooth out any bumps that hide below your aquarium. It is completely possible that your tank may be just fine, even under all that pressure. But it’s an expensive risk. And, considering just how cheap an aquarium mat is, there is little excuse not to use a mat at the base. For peace of mind, it’s worth it. 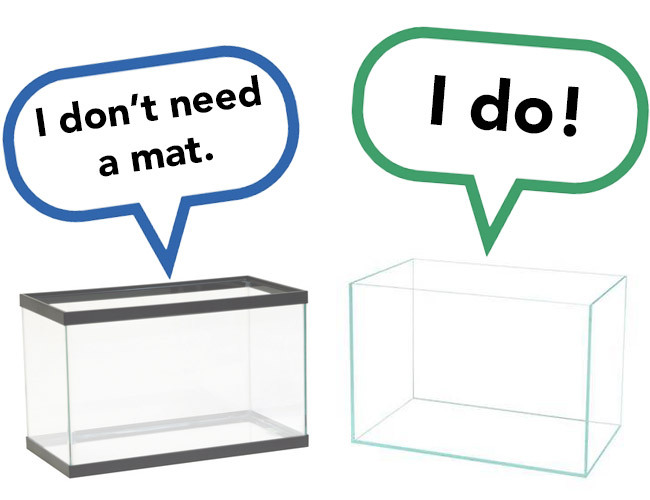 Personally, I use some kind of mat every time I set up a new aquarium. Now, I must stress that a foam mat is only useful for raised surfaces – bumps, not gaps. 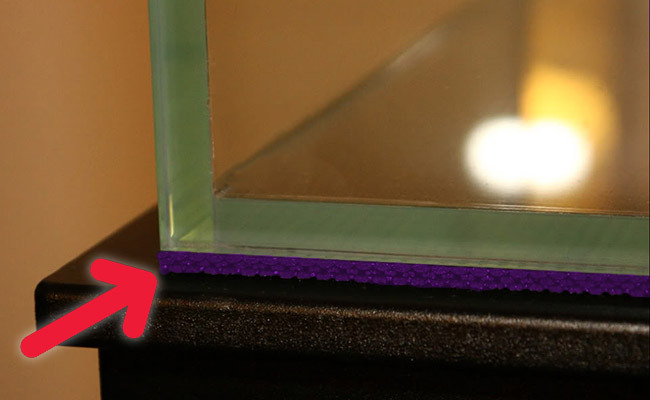 If your aquarium stand has gaps, then a foam mat is going to compress into those gaps. And, you know what that means? That’s right, uneven pressure on the base of your tank. If gaps are the reason your aquarium isn’t level, then a mat isn’t going to help at all – you need to find a way to flatten out the surface. It’s funny, in Europe, you can commonly find foam aquarium mats on the shelves of local fish stores. But in America, it’s a different story. There are only a couple of brands, such as Mr. Aqua. While these are great mats, they are typically aimed at smaller aquariums. Camping mats are designed to keep you comfortable on uneven surfaces when camping. Those rocks and pebbles on the ground? Camping mats absorb them so that they don’t apply pressure to your body while you sleep. And, they work just as well for your aquarium! Oh, and they come in nearly any color you can think of, if that’s your thing. I know many hobbyists who use yoga mats as padding. If you have a short wife, maybe she won’t notice if you slice a piece off! 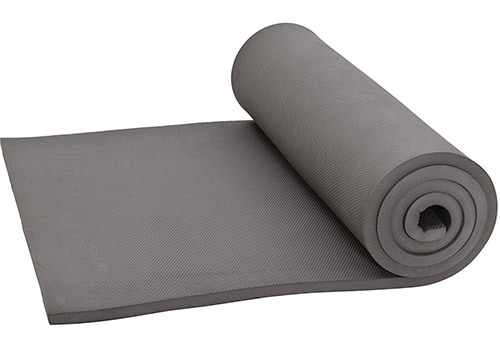 Otherwise, cheap yoga mats can be found at any retailer. Others use a cork mat, a popular drawer liner that can easily double as an aquarium mat. Sometimes I even hear Styrofoam recommended for use under aquariums, but I avoid this since it crushes easily. Whatever material you use as a mat under your aquarium, make sure that it has some give – this is what makes the mat absorb any irregularities on the surface. Just remember that larger, heavier tanks need a denser foam since they will compress the mat more than a smaller tank. Once you choose your mat, simply cut it to size. This way, it will be mostly hidden from view. I have seen some hobbyists skip the foam mat because they don’t like how it looks under their aquarium. Trust me, if you cut away any excess foam, it is hardly noticeable. I have never once had a guest comment on the foam underneath my tanks. They are too fixated on what is going on inside the tanks to notice. Do you use a mat as a base for your aquarium? Tell me what kind and why in the comments below! I’d be hesitant to suggest a mat that doesn’t cover the whole bottom of your tank. If I am thinking of the same interlocking mat, it will be quite thick. If you don’t mind looking at it under you tank then it will do, I’m fussy and prefer something thinner.I’d level the surface then use a really thin mat, like those “self leveling ones” they sell at your local fish store. Speaking of which, if you have a small independent fish store, they will be able to give you some great advice on what to do too, even if they don’t have the right product in stock. I’m currently setting up an 65 gallons aquarium (120x40cm). Initially I placed Styrofoam under the aquarium but I realized that the Styrofoam is compressed on one edge so that a lot of the front side of the aquarium is no touching the styrofoam. This is the same like Adrian’s problem in the comment above. I will fallow your advice and use a camping mat. But I want to ask you: what thickness should I choose for the mat? My options are 6 mm or 12 mm. Should I choose the thicker one or is it ok the 6 mm thick mat? It looks like the selections have changed since I purchased mine many years ago. I’m pretty sure mine was only 3mm. That said, mine was just to protect the tank from a very shallow knot in the wood of my stand. If your tank is substantially out, it would be better to level the stand rather than pad it out with foam. Otherwise, you would choose the size mat that will fill in the gap. The mat will compress on the side where the gap is to compensate. If your stand is out by more that 6mm then I’d certainly suggest leveling the stand rather than choosing a mat to solve the problem. The surface of the stand where my tank is sitting is uneven, my tank is braced tho… Can I still put mat? Are you talking about the plastic bottom braces? That’s what will be supporting the weight of your tank. If the surface is slightly uneven, say very slightly bumpy, it probably won’t be an issue. If your tank is actually slanting in one direction then yeah, you will need to level that out somehow. I have less experience with acrylic aquariums and could not give you definitive answer to this question. If it was glass, I would be very concerned about such a gap, particularly on a large tank.